Allure Las Vegas is condominium tower located on Sahara Avenue with ample viewing access to the Las Vegas Strip. Luxury, high-rise condo living at Allure offers homes which are 41-stories up, and provides floor to ceiling walls of glass, private balconies and extra high ceilings. The open design of homes at Allure is meant to help indulge in a feeling of wide open living space, with gorgeous views of the surrounding Las Vegas area. Condo units inside Allure are geared toward buyers who are looking for a taste of luxury, with high expectations for innovative design and quality living. Upgrades available to units include european style wood cabinetry, marble flooring throughout bathrooms, kitchen and foyer areas, and stainless steel appliances. Kitchen countertops are granite, and large, oversized marble soaking tubs are available in master bathrooms that also contain walk-in closet space. 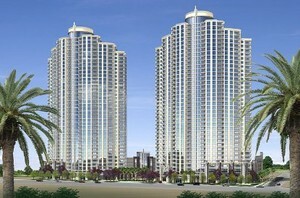 Allure condominiums range in size from 662 sq. ft., to 2,465 sq. ft. Home unit prices vary from $133,000 to $845,000, depending on unit size, location and upgrades. Allure offers gorgeous views of the Las Vegas Strip, and close proximity to shopping, entertainment, nightlife, fine dining, and all that Vegas has to offer. Other amenities include private outdoor pool with cabana access, fitness and wellness facilities, business center, library, club room with kitchen and wine cellar, 24-hour doorman and valet and concierge.